I love Veera Valimaki's patterns. Her focus on shape, line, and colour creates a clean, simple aesthetic that really lets knitted fabric shine. If my body shape suited them, I'd make every single one of her sweater designs. Hats however, don't require a willowy figure! Yay! 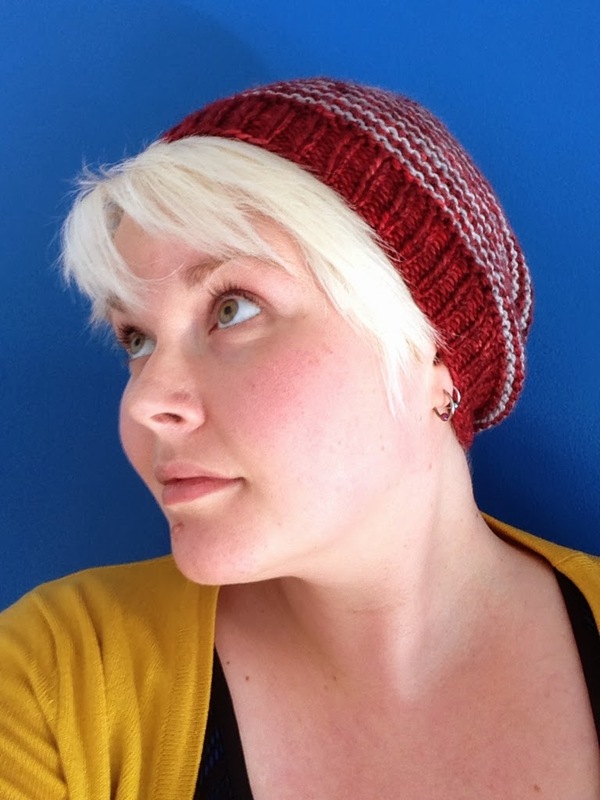 Veera's Here and There hat is a gorgeous slouch toque that manages to be both practical and fashionable. 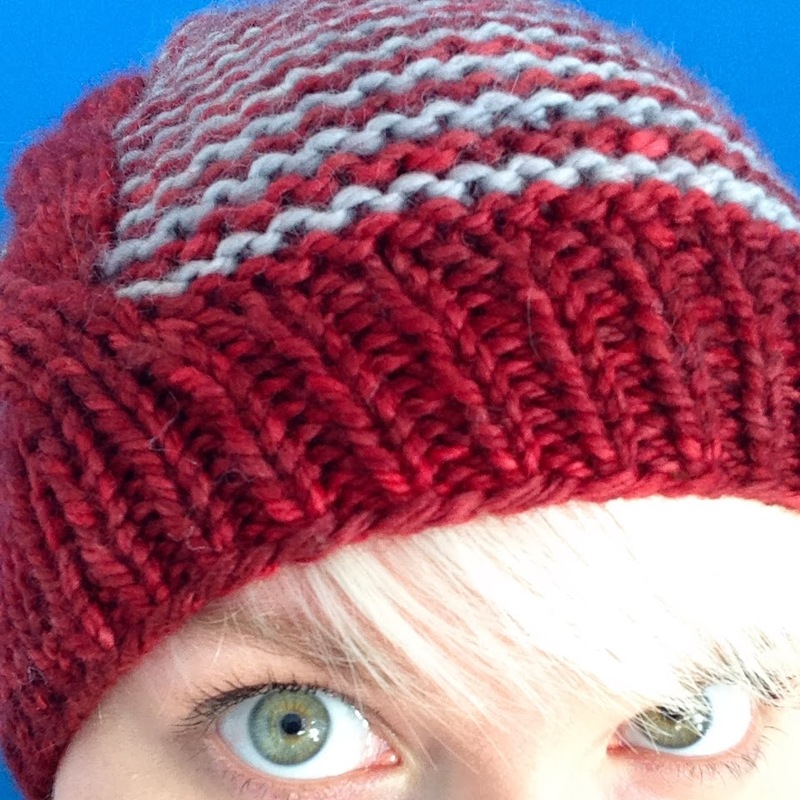 I am pretty fussy when I pick hat patterns, as my short hair can get swallowed up in many styles. 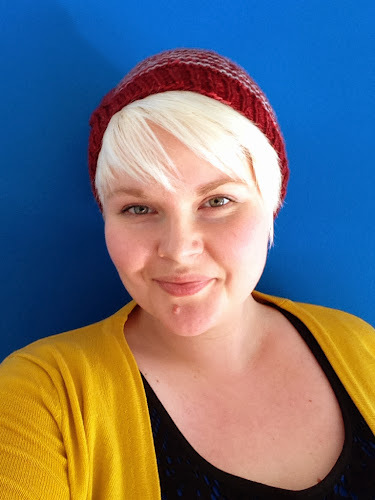 Also, hats without any volume tend to make my head (which is LARGE) look teeny tiny in comparison to my body. It's a proportion thing. Bird painting by UnitedThread, lighthouse by EveSand, both on Etsy. 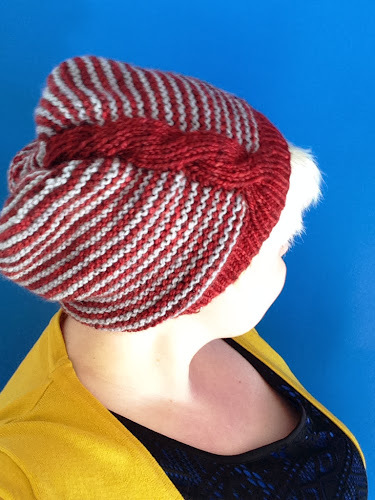 The thick, squishy garter stitch fabric gives the hat body, while the stripes and cable make a cute statement. Love it! I used my own Everything Old Squish BFL Aran in November and Crabapple Jelly. I always feel uncomfortable raving about my own products, but I love this yarn you guys. It's soft, smooshy, and luxurious feeling, yet easy to work with and care for. I used a US size 7 needle, which created a stretchy, malleable fabric with lots of body. 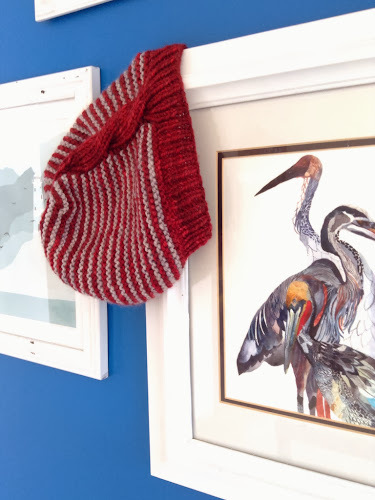 I've already got lots of wear out of this cozy hat, and I know I'll get plenty more before the warm weather comes. Thanks! I just started a Color Affection too. I adore Veera. january calendar 2019 edit and download.